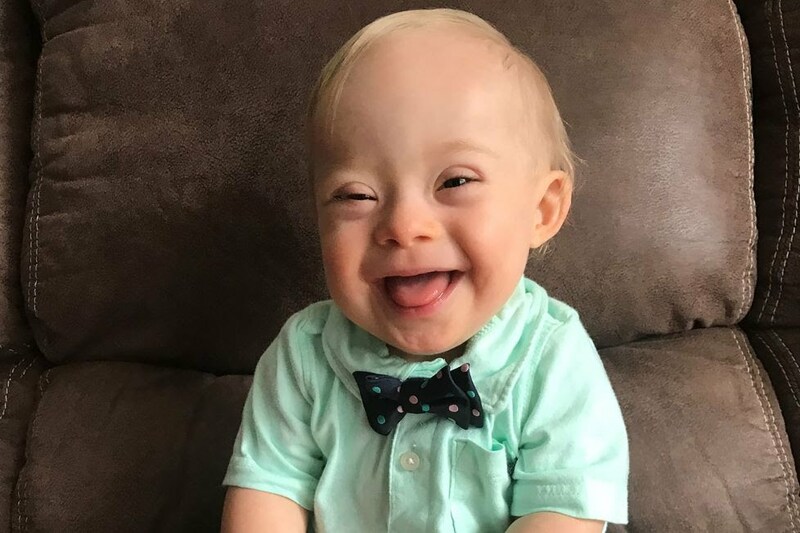 Gerber announced Tuesday that the new face of their company would be none other than Lucas Warren, an 18-month-old boy with Down syndrome. The beaming 18-month-old from Dalton, Georgia was chosen out of 140,000 photo submissions from across the country. Lucas is the first spokesbaby with Down syndrome the company has ever had in their 91-year history, and I think it highlights a profound recognition of equality and acceptance that children with the condition are people just like you and me. “Every year, we choose the baby who best exemplifies Gerber’s longstanding heritage of recognizing that every baby is a Gerber baby, and this year, Lucas is the perfect fit,” Bill Partyka, Gerber’s president and CEO said in a press release. What you see when you look at Lucas is the beauty and wonderment of childhood, of those critical toddler years where children are learning at an incredible pace as life unfolds before their eyes. By choosing to celebrate diversity, Gerber is bringing awareness to the fact that the special needs population is the largest and most underrepresented minority group in America. There is a broad spectrum of people with disabilities in this country. And as the father of a son with special needs, I have always been an advocate and a champion for this population, who have taught me so much over the years. I’ve written passionately about Down syndrome in the past, but unfortunately, it has always been in response to some piece of news that highlights the inability many people still have to accept people with the condition. In 2014, I criticized an Australian couple’s choice to abandon their newborn child in Thailand after the surrogate gave birth to him and they learned he had Down syndrome. And more recently, in 2017, I was heartbroken over a report from CBS that claimed Iceland had “nearly eliminated Down syndrome” in their country. You may remember that report as it came with very inappropriate tweet from the media outlet that drew the ire of many, including actress Patricia Heaton. As a high-risk obstetrician for over 30 years, I’ve come to realize that despite the efforts of the National Down Syndrome Society and other groups working to raise awareness, there are still many people who don’t know what Down syndrome is. In order to keep moving in the direction of acceptance and understanding, it’s important that we continue to educate the public about these special children. Down syndrome is the most common chromosomal abnormality in humans. Also known as trisomy 21, It occurs when abnormal cell division results in a full or partial extra copy of chromosome 21. The cause is still unknown, but maternal age has been linked to an increased risk. But the most important thing to understand and teach the public at large about Down syndrome is that it’s a condition — not an affliction. Those who are born with it don’t “suffer” from it. While Down syndrome may be marked by cognitive disabilities ranging from mild to severe, people with Down syndrome continue to be contributing members of their communities. Approximately every year 6,000 children are born with Down Syndrome in this country — and many more are born around the world. There are thousands of children born each year with many other disabilities and the medical community has been striving to develop techniques which not only enhance their quality of life, but also their longevity. So cheers to you, Gerber, for using your platform to promote an environment of love and acceptance of differently abled children. And to you, Lucas, for looking so darn cute while doing it.